A few weeks ago we were fortunate enough to get a week off from uni. The week was intended for studying... preparing for exams, catching up on assignments. Well being good international students, we just went on a roadtrip. Three cars, 9 people, an increasing amount of wine bottles per night - we had a really good time. I had been up to Cape Tribulation before but had done it with a day tour - the rushed touristy version. 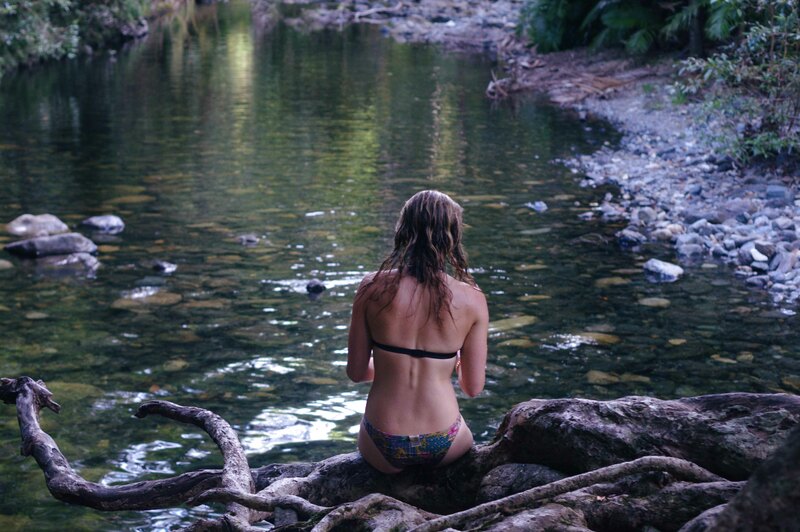 This time we took it really slow spending 10 days road tripping from Townsville to Cape Tribulation and back. I guess with such a big group, you kind of have to take it slow. However, it really was the best decision and we went to lots of beautiful places. So here are my personal favourites. Josephine falls are an absolutely must-see when driving up to Cairns. They are just a short walk from the carpark and easily accessible. However, don't expect to be the only ones there. When we went it was very busy - still the emerald green water of the pools and the massive stones formed by the water are a stunning sight. Take your swimmers as the water is super inviting. This is the place where you can start your hike to Bartle Frere, the highest mountain in Queensland. Anyway, there were two things in Cairns that I really enjoyed. The Tanks Markets was one of them. They are on every last Sunday of the month and just have all these things you never know you wanted. 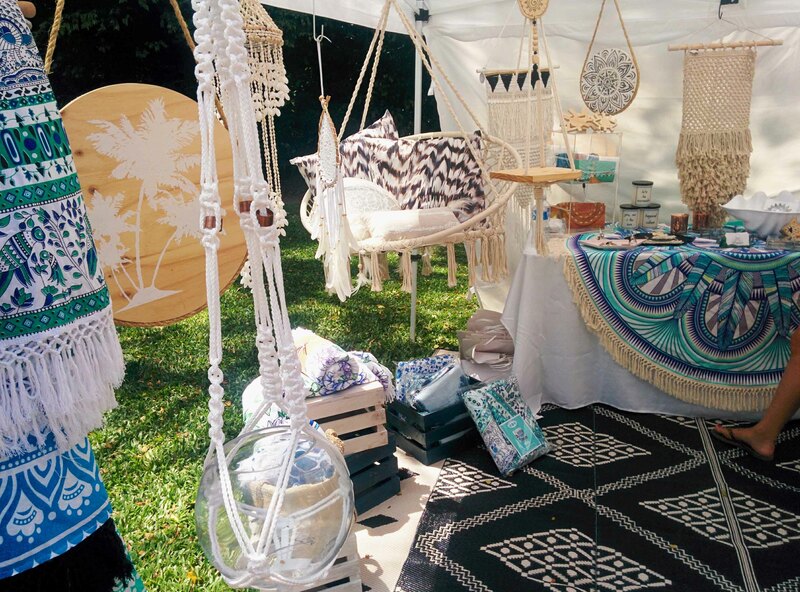 You can find lots of handmade crafts, beautiful clothes and delicious food. 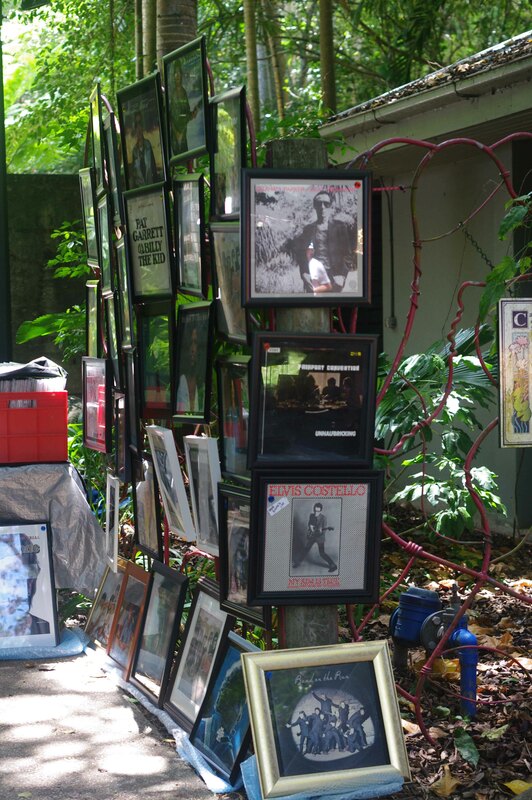 The atmosphere is very chilled and it's easy to just spend a few hours there listening to live music, wandering around and looking at beautiful things. The other thing that I really enjoyed was a good coffee in a nice café. Close to showing serious coffee withdrawals I was in a need for caffeine fix in Cairns. It took us some time to find Caffiend. Which might have been due to it being hidden away in an alley - or my bad pronunciation. Though once arrived, the coffee tasted great and the place had a nice vibe. 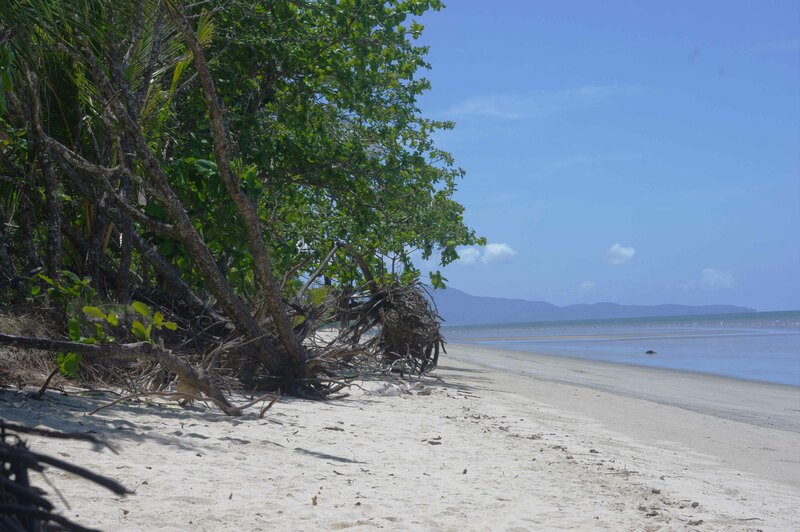 After being in busy Cairns with lots of other tourists we felt like going to a quieter place and went to Newell Beach. 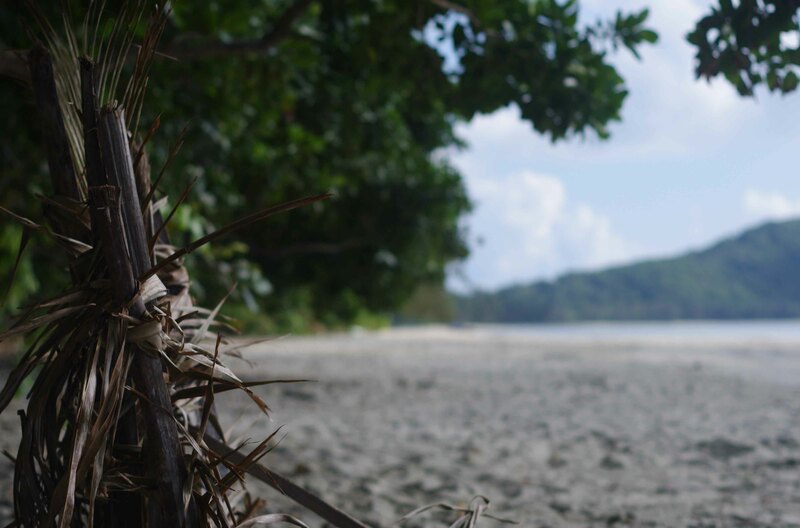 Newell Beach is just a few minutes from Mossman - a beautiful long beach. We were almost the only people there and went for a long walk, marveling at the pretty beach houses that are set along the coast. 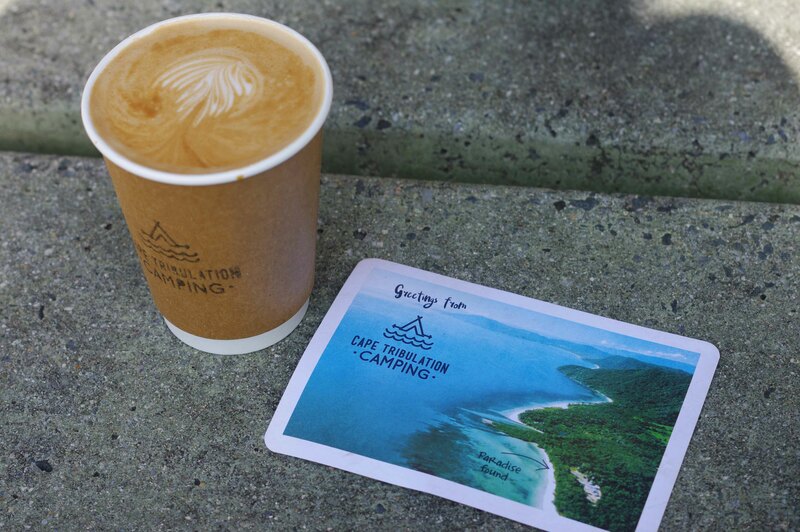 We arrived late in Cape Tribulation and after finding out that the national park we originally wanted to stay in was fully booked, we found this little gem; Cape Tribulation Camping has everything you could possibly want on a relaxing holiday. The camping place has lots of nice and shady spots to park your car and pitch your tent. You are only a few steps away from the beautiful beach and the camp kitchen is big enough to cook up a feast. However if you don't feel like cooking, you don't have to starve either. The camp bar/restaurant serves amazing pizzas which come at a reasonably price. We treated ourselves to one the second night and loved it! The only downside was that it was gone so quickly. We also washed it down with some pretty good white wine, which came at only $15 a bottle. I still have to call them up and ask about the brand, it was yum! What's even better - they serve coffee. Good coffee! So in the morning we enjoyed a latte, sitting on the beach - oh happy camping! We went to a pretty nice swimming hole where you could swing yourself into the water off a rope. You had to follow the road at Cape Trib till there was parking and a sign informed you that you could only go further if you had a 4WD. We did not find the spot right away. It is a bit hidden. You have to take a path to the left before you reach the creek and follow it for a few minutes. Worth it though! 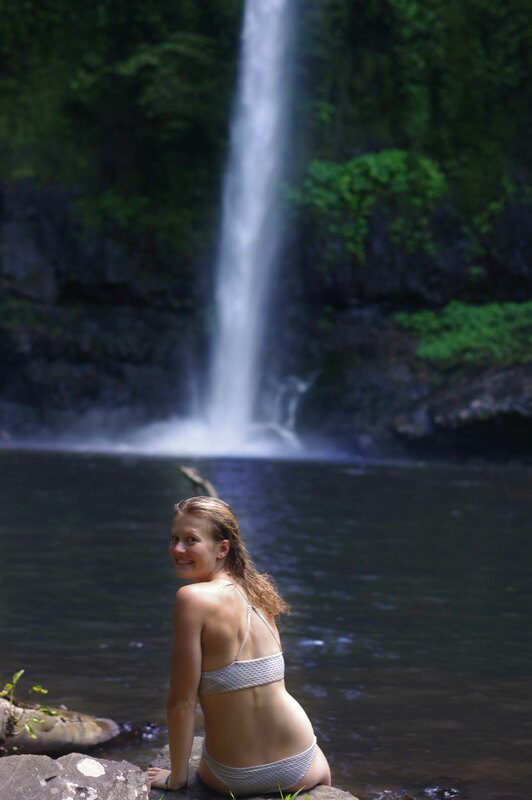 As beautiful as Millaa Millaa falls but without the crowd are Nandroya Falls. 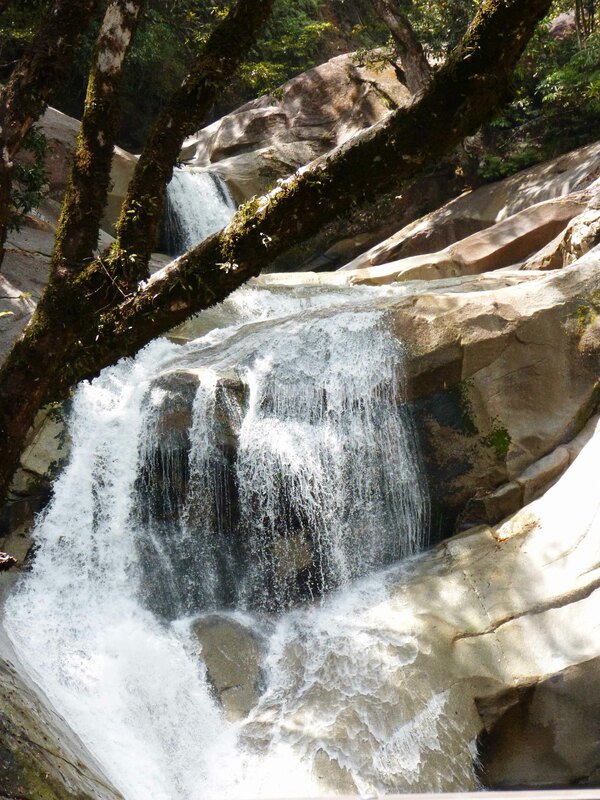 There are actually a couple of smaller falls on the way as you hike the 2.7 kms to the falls. They are located in the Wooroonooran National Park, so you can also stay there. There is much more on the way - but those were my highlights. If you are on the way to Cairns from Townsville also check out Wallaman Falls and Jourama Falls. Dreaming of freshly shucked oysters off the rocks, swimming with turtles, sipping fine wine and sampling fine cheeses overlooking the turquoise ocean and bay at sunset? What about camping next to a lighthouse under the stars, awake to a superb sunrise over the ocean? This is the hike for you!